This week the basket is made all from materials I found on the beach. Seaweed and again strands of a rope that had been washed up. 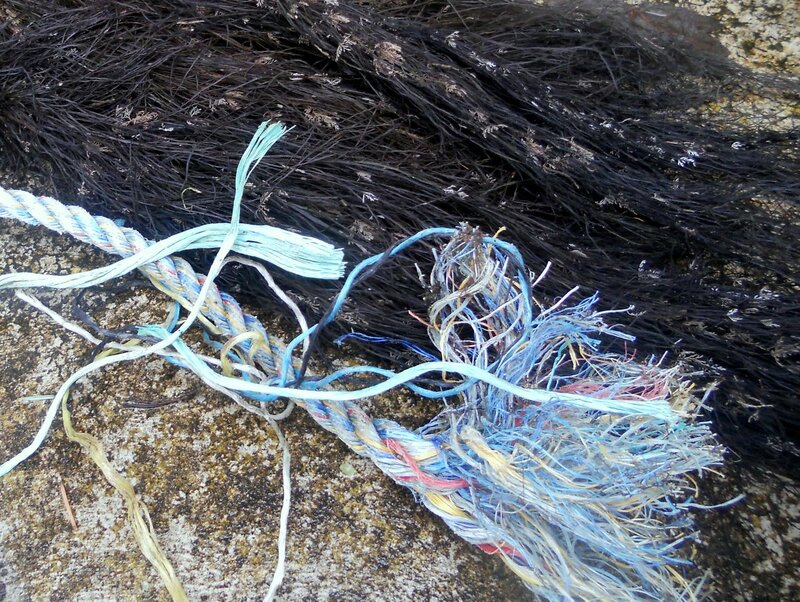 This time I managed to find some longer bits of rope all the same colour which made sewing the coils easier. I also found a shell with a hole in it which I included in the finishing off. 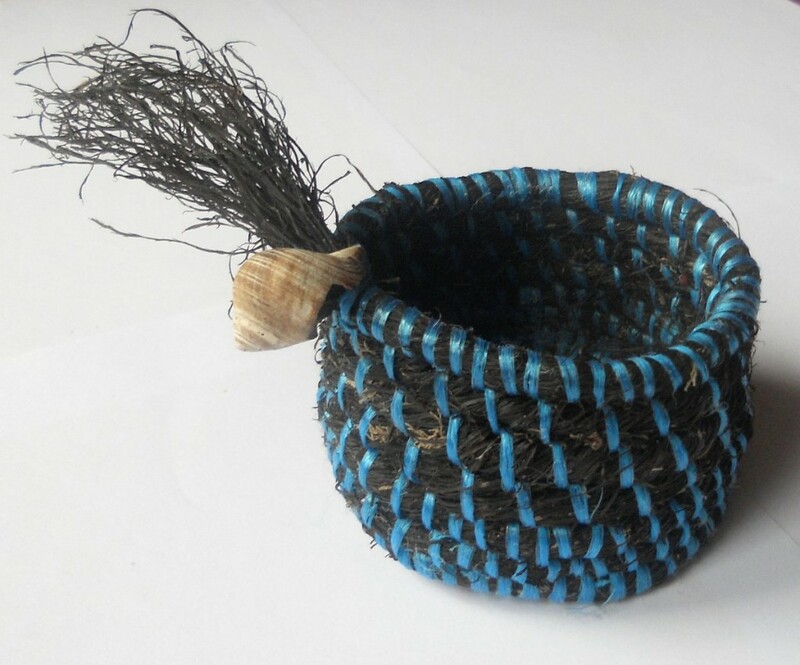 4 Responses to "Baskets From Found Materials Week 2 – Seaweed and Rope Strands"
Lovely Julie, I can’t wait to see how this project progresses. I love students like you! Thanks Lois, your course certainly inspired me. I think it will be interesting to see how the baskets change when I move down south! Yes, it will be interesting because certainly they will change… I never found any seaweed in London but there are lots of other lovely materials to be gathered.